This year's Main Competition -- just one of the three IGF competitions taking place this year -- amassed 303 game entries, many of them new titles from leading indie developers. 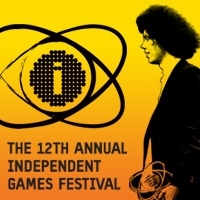 Information, screenshots and videos on each of the IGF Main Competition entries are now available on IGF.com. This total entry tally comprises 35% more games than last year's record 226 Main Competition entries, itself a 30% increase on the previous year -- showing the continuing popularity of independent games and the IGF. Following the record Main Competition entries, organizers have also revealed 193 Student Showcase entries, a record 33% more entries than last year, and bringing the total entries across these two competitions to almost 500. Previous IGF Student Showcase honorees have included DigiPen's Narbacular Drop (evolved into Valve's acclaimed Portal), USC's The Misadventures Of P.B. Winterbottom (now signed by 2K Games for XBLA), Hogeschool van de Kunsten's The Blob (made into a console title by THQ as De Blob), and early USC/ThatGameCompany (Flower) title Cloud. This year's IGF entries will be checked and distributed to the more than 160 notable industry judges for evaluation, before finalists are announced in January 2010 and winners awarded at the IGF ceremony during Game Developers Conference 2010 in San Francisco next March. This year's IGF Student Showcase entries will be judged by an opt-in subset of the judges. More than twenty Main Competition finalists and ten Student Showcase winners will be given all-access GDC 2010 tickets to show their games at next March's event, which encompasses the IGF Pavilion on the GDC 2010 Expo floor (March 11th-13th), the high-profile IGF Awards (March 11th, and for which highlights footage is available on the official GDC website), and the related Independent Games Summit (March 9th-10th). Finally, IGF 2010 organizers are reminding that entries to the IGF Mobile competition -- encompassing iPhone, mobile phone, PSP, DS, Android and other handheld games -- are due by December 1st, 2009.